These are the words of Scott McNealy, the co-founder and former chairman of Sun Microsystems Inc. Jeffrey Sonnenfeld, an expert on leadership who teaches at the Yale School of Management, concurs. 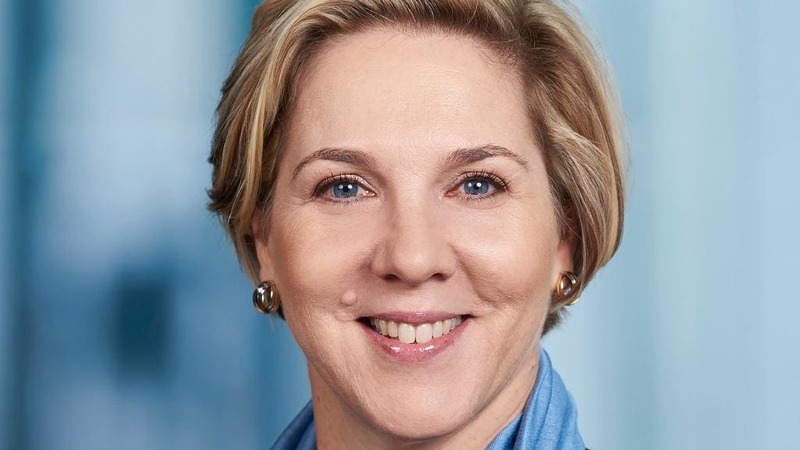 Robyn Denholm (55) will succeed Elon Musk (47) as chair of the board after Musk was mandated to leave his role for a 3 years as part of a settlement with the Securities and Exchange Commission. The censure also required the payment of a $20 million fine. It followed Musk's now infamous 'take-private' tweets in August. Musk said, in that series of tweets, that he was considering taking Tesla private at $420 a share, and even had some funding secured. The tweets sent shares soaring to an intraday high of $387.46 a share on August 7. Musk will remain as CEO. It’s the first time, however, that Musk has relinquished any control of the company since he became board chair and CEO in 2004. Denholm ,for her part, knows exactly what she is getting herself into. She has been on the Tesla board since 2014, when she was based at Juniper systems in Palo Alto. In the past four years as a non-executive director of Tesla, including as chair of the audit committee, Denholm has received $17 million in Tesla stock options. She’s been one of two women on the nine-person board. After less than 24 months at Telstra, Denholm will leave her role as CFO to take up the Tesla chair. She joined Telstra in January 2017 initially as chief of operations and just 6 weeks ago she took on the role of CFO as Telstra reshuffled its management and announced its major T22 strategy. Her decision to step down from Telstra so quickly was a surprise to many. Just last month, she told Australian media through a spokesperson that she wasn’t in contention for the Tesla job. Denholm will serve out a 6-month notice period at Telstra. While she formally enters the role as Tesla chairperson on November 13, she will also have to continue in the CFO and head of strategy role at Telstra until May 6, 2019. “Robyn will continue to provide the necessary focus and time to Telstra during the remainder of her time there, and she will also temporarily step down as chair of Tesla’s Audit Committee until she leaves Telstra. To ensure a smooth transition during the remainder of Robyn’s time at Telstra, Elon will be a resource to Robyn and provide any support that she requests in her role as chair." Robyn Denholm (53) was born and raised in Milperra, NSW, with her parents owning the local service station. The media has linked her rare combination as "a finance guru with a genuine interest in technology" to her early days, when she is reported as liking to tinker with car repairs. "At school I loved science. I did physics, chemistry, biology, and I thought that I would end up doing something [in that area]. But when I did my HSC I realised I wasn't as gifted in the sciences as I'd thought." Her gift turned out to be in accounting, a talent she also honed in the service station helping her parents with the bookkeeping. Denholm went on to study economics, accounting and industrial relations at the University of Sydney before undertaking a Master's in commerce at the University of NSW. She now sponsors a scholarship for a disadvantaged student at the UNSW Australian School of Business. From uni, Denholm was employed as a graduate directly into Arthur Anderson's Sydney office where she spent almost five years developing her skill set. She then took her first calculated career risk moving to Toyota as the Finance Manager for Sales and Marketing. Within seven years she became one of a very few woman to rise to the upper echelons of the Japanese company, culminating as National Finance Manager based at the Melbourne Head Office. In 1996, she left Toyota for her first technology company - Sun Microsystems - to be its Sydney-based director of shared financial services for the Asia-Pacific region. Sun was best known for the creation of the Java programming language, the Solaris operating system, ZFS, the Network File System (NFS), and SPARC. Sun contributed significantly to the evolution of several key computing technologies, among them Unix, RISC processors, thin client computing, and virtualised computing. She travelled constantly in the role, and in 2001, Sun convinced Denholm along with her two children to move to their Colorado office as the VP Finances for the services division. During 11 years at Sun, Denholm rode the dot.com bubble and bust, and rose to become Senior Vice President of Corporate Strategic Planning, based in Silicon Valley. However there was to be no resting on her laurels. "I don't jump out of planes or bungy jump or any of that stuff," she says. "But I do take professional risks. You make the best decisions you can with all the information you have - and you have to move quickly. You're not pushing hard enough if you never make mistakes. Living by her philosophy of continuous learning and "pushing hard", Denholm changed career tacks leaving strategic planning and returning to her finance roots when she joined Juniper Networks in 2007 as Chief Financial Officer. Juniper is best known for the development and marketing of networking products including routers, switches, network management software, network security products and software-defined networking technology. In her nine years at Juniper Networks, Denholm was part of a complete rebranding of the company with its listing moving from the NASDAQ, home to many technology companies, to the New York Stock Exchange, home to many of Juniper's customers. On her watch, annual revenue grew from $US2.8 billion to $US4.9 billion in 2016. In 2009, the company boldly refused to accede to investor demands for a 10 per cent cut in Juniper's workforce. Instead, it continued to invest in R&D - and Denholm justified the strategy at 290 investor and internal meetings over the course of the year. The market shrank by 20 per cent in that year, yet Juniper's revenue dropped only 7 per cent, and operating margins fell just 4 per cent. Denholm left Juniper in 2016 as its Executive Vice President, Chief Financial and Operations Manager. Denholm told The Australian earlier this year that she has always been "one woman amid a sea of men." “I came up through the ranks at a time when there were very few women leaders. Most of my mentors were men. “I don’t care what people look like. If everybody thinks the same way they won’t create the next wave of innovation. They need differences of opinion and differences in life experiences,” she said. Denholm is also actively involved in mentoring young up-and-coming business students and graduates.